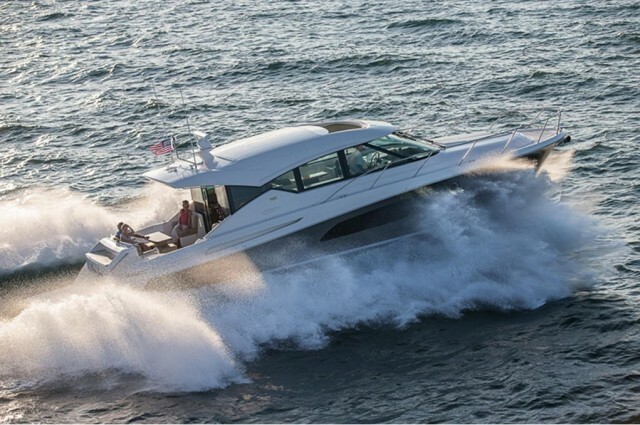 1999 Tiara 4000 Express, lightly used, professionally maintained, in exceptional condition and turnkey ! Twin 435 HP 3208TA Caterpillar Diesels with only 960 hours. Standard mid-cabin interior includes two private staterooms, two heads, an open galley and an expansive salon with seating for eight. 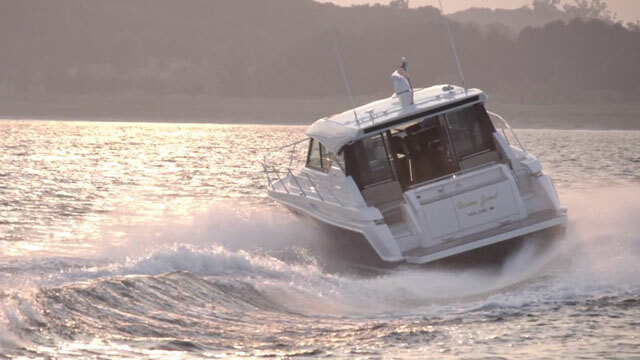 'Andromeda' will sleep six utilizing the convertible dinette in the salon and the 600 gallon per day Water-maker, makes extended cruising a breeze. Twin transom doors in the aft cockpit open to extended swim platform and stern equipped with a Davit (800 lb capacity) for a dingy or jet ski. There is also a large transom trunk to stow bikes, dive equipment or other toys. The center section of the cockpit sole raises to provide cocktail tables and also lifts for engine access. 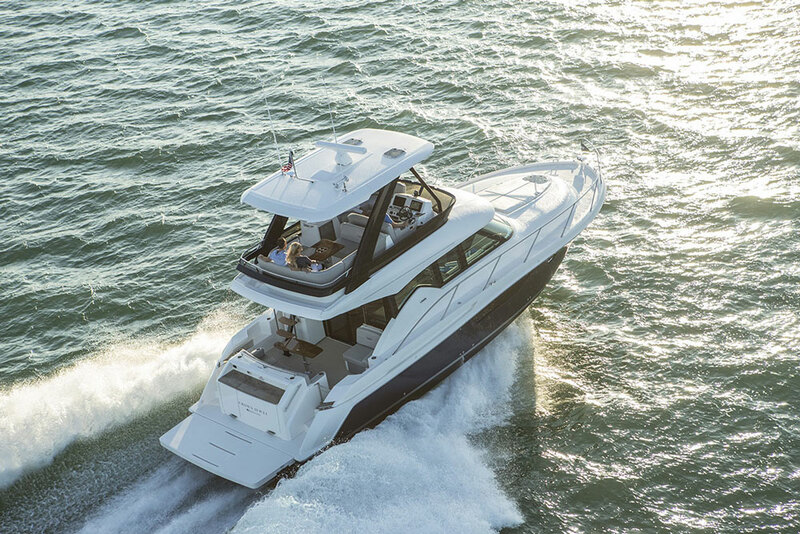 The helm is AIR CONDITIONED and fully enclosed and the NEW bimini with extention covers the aft cockpit. 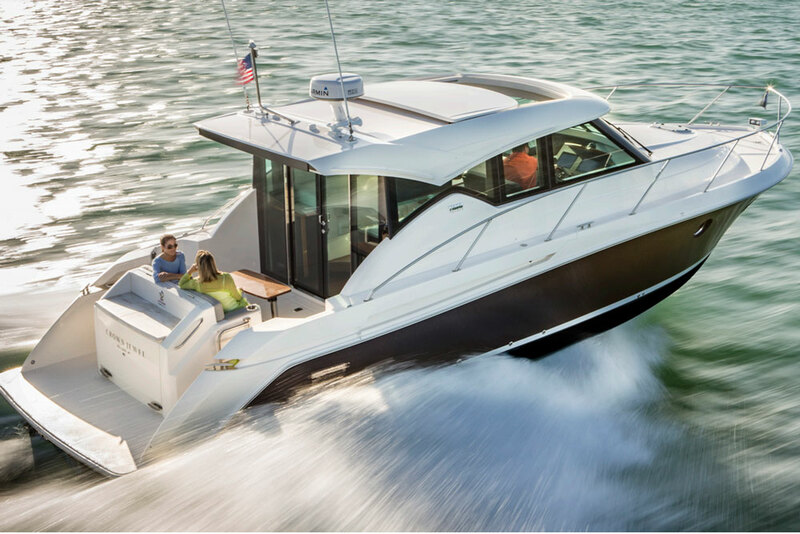 Perfect vessel for extended cruising and/or Live-aboard. 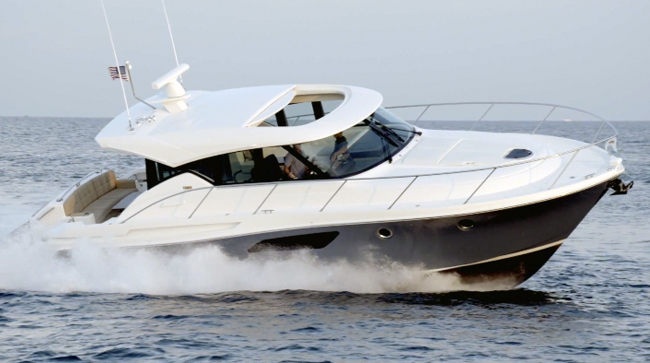 The Tiara 4000 Express has two staterooms, two heads and is spacious and well designed. Her Master Stateroom forward features a centerline queen size berth and an ensuite head with shower stall. The private Guest Stateroom aft, features a full size berth and ensuite head with vanity. Full standing 7'4 headroom, LED lights and ample storage provide a very comfortable guest cabin. The Ashwood interior creates a light and open feel and the huge Salon features a large 11’ couch starboard with beautiful navy blue upholstery and double drop leaf table that will accommodate 6 adults. The high/low table converts to a double berth. Solid tongue and groove Teak and Holly sole is protected by removable navy blue carpeting. The four large portholes and overhead hatch provides plenty of natural light and a custom Bose Lifestyle Stereo system with Surround sound and Flat Screen TV compliments this living area. The fully equipped Galley features Sub Zero Refrigerator, separate Freezer, Corian countertops, 3 Burner electric , Coffee Maker, Stove, Convection Microwave and large Stainless Steel Sink. There is plenty of storage above and below with beautiful Ashwood cabinetry.